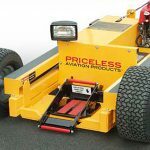 Priceless Aviation are pleased to offer a fantastic range of aircraft tugs that boast the very latest technology for the movement of aircraft. 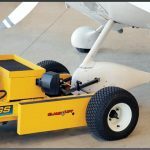 Priceless Tugs® make it simple for someone to move an aircraft safely and efficiently, in a tightly stacked hangar or staging on the ramp. Our tugs move up to 33,000lbs, MTOW. All of our units are covered by a full warranty. 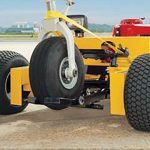 LazySusan® is our original towing mechanism and is the perfect way to move aircraft without damage to nose gear. The LazySusan® turntable gives our tug maneuverability and ease of handling. Reverse an aircraft in its own wingspan or maneuver an aircraft in a tightly packed hangar or ramp area with ease and without over extending the nose gear. LazySusan® is available on models 707, 709, 709H and as an option on models 737P, 747C, 757, 757CFBO, 757CFBO-NJ. For aircraft with or without wheel pants. The Axle Attachment is used on the the model 701 tug. 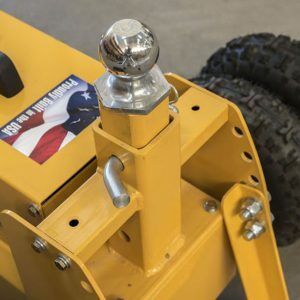 It’s use is for lightweight aircraft and is steered moving handles left to right and pivoting on the drive wheel while connected to the aircraft and shifting positions. Optional adapters available for many aircraft. Designed for transporting various trailers. Available only on the model 701E. 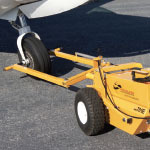 The Clamp & Lift is used for single wheel aircraft with no wheel chines. It can be used with wheel pants and is available on models: 717 and 737C. 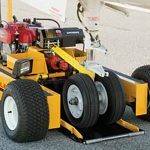 The Pan Style Lift is used for aircraft with wheel chines, wheel pants or dual nose wheels and is available on models: 727, 737P, 747C, 757, 757CFBO-NJ, 757CFBO. The LazySusan can be added as an option to the Pan Style Lift. 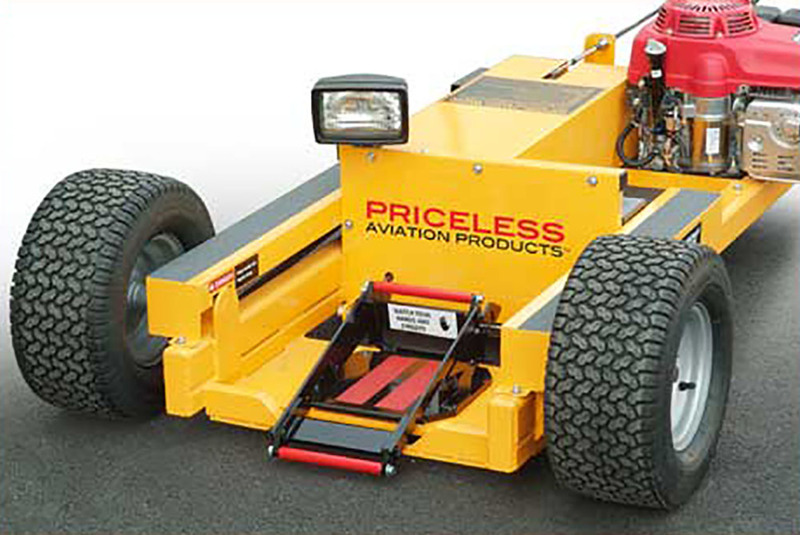 Please contact Priceless Aviation if you have any questions regarding our aircraft tugs and the wide range of accessories available.